The set includes 40 figures of Carcases in 4 colours and unpainted (total: 200 minis). Figures represent slow mouldering and ramshakle corpses, driven by a thirst of destruction or someone's dark will. Roads of Apocalypse (4th ed.) 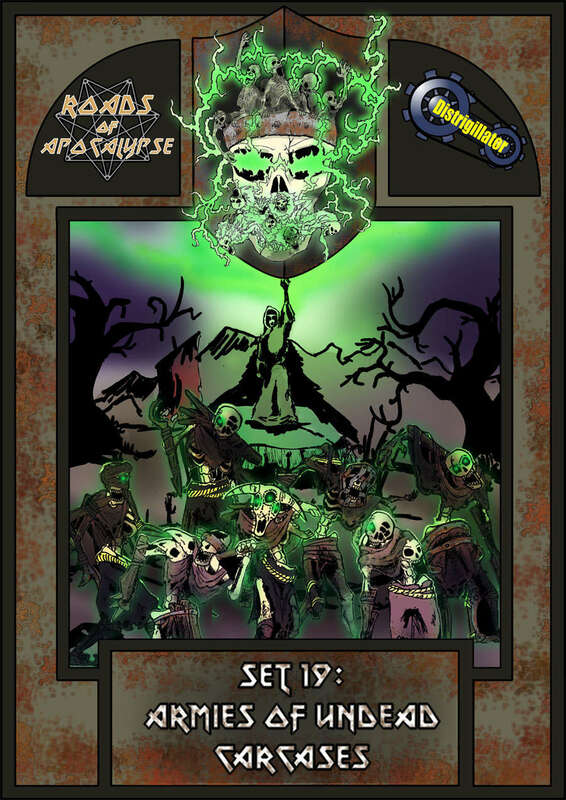 - Set 19: Armies of Undead: Carcases.